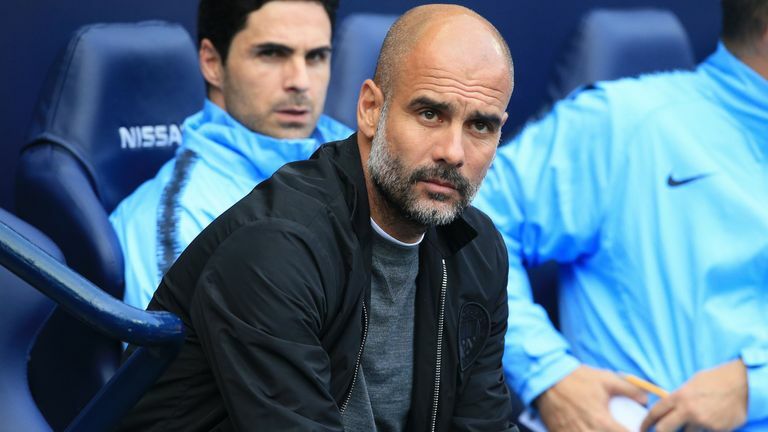 Pep Guardiola believes Manchester City still lack "something special" as they pursue a first Champions League trophy, and has urged the fans to help push the club towards European glory. Guardiola is yet to steer City beyond the quarter-finals of the Champions League, with the club's best run coming under Manuel Pellegrini when they reached the semis in 2016. He said: "In this competition you need something special, and still I don't feel it. I saw last season we are still not ready to win it. That's what I feel. "That doesn't mean we are not going to try but to win this competition it's not enough just to have desire, or wanting to win. You have to have many circumstances, have experience and still we don't have enough in some moments. "That's not enough that the manager wants to win it, it's not just the players. You have to have the desire - the club, chairman, owner, the fans, everyone has to push to be closer, to achieve the next stages. When it happens, everyone will feel it." Throughout his tenure at City, Guardiola has referred to the club's lack of European pedigree when discussing their Champions League shortcomings. City will officially have 825 supporters behind them in Kharkiv, Shakhtar's adoptive home and a venue where they lost last season.